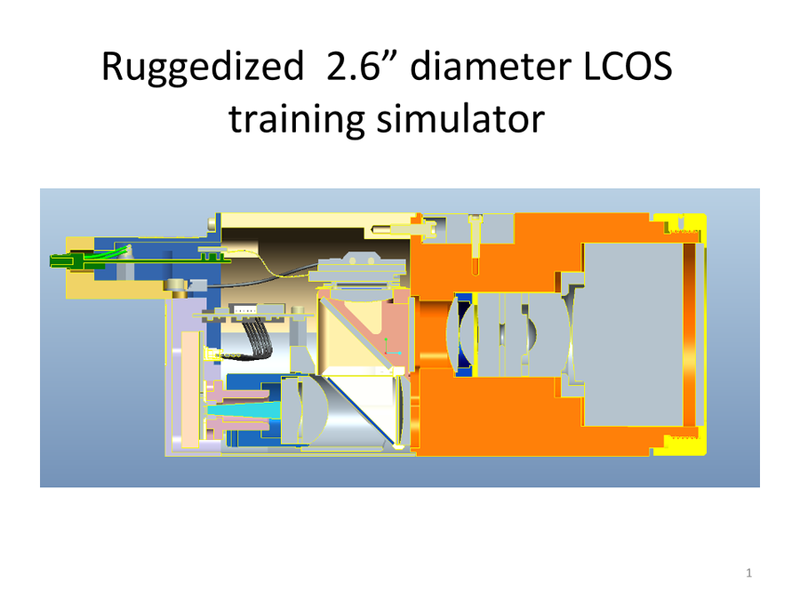 This is a LCOS based replacement for a CRT system currently used in training simulators. 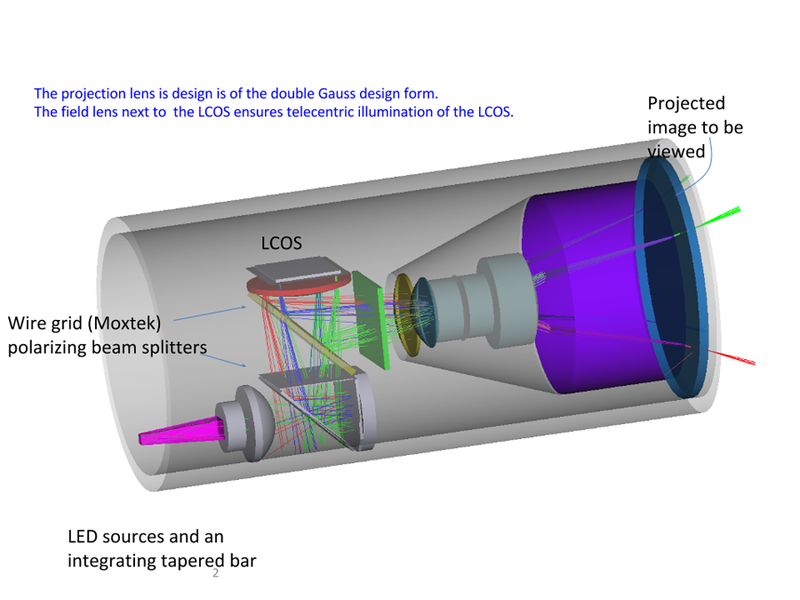 The LCOS projector consists of LED sources, a tapered light integrator, a field lens to ensure telecentricity at the LCOS, a projection lens and a proprietary projection surface. Two wire grid polarizing beam splitters are used to form a compact and efficient system.